Lights, Camera, Auction - CTK Goes Hollywood! Location: Arizona Golf Resort, 425 S. Power Road, Mesa, AZ. Silent Auction and Cocktails begin at 5:30 pm followed by Dinner, Live Auction and Las Vegas-style Casino Games provided by On the Go Casino® Parties! This fundraising event will benefit the Science and Fine Arts programs at Christ the King Catholic School in Mesa, AZ. 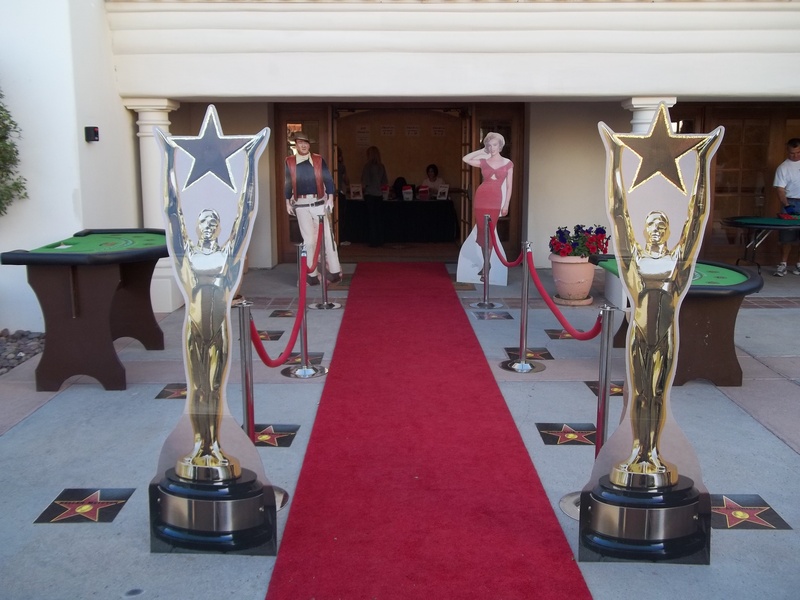 A fun evening of dinner, silent and live auctions and Las Vegas styled casino games with a Hollywood flair. Feel free to dress up like you're attending the Academy Awards or dress casual like you're going to the movies. You can also dress up as your favorite movie star. Try your lick at the blackjack tables aginst our "Celebrity Dealers" CTK pastor Father Steve Kunkel and CTK principal Mr. Don Graff.